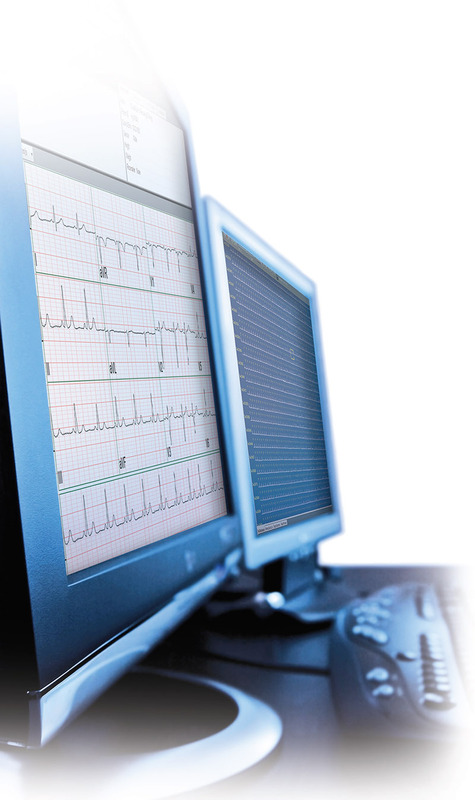 Advanced algorithms and versatile tools allow you to quickly and easily analyze large amounts of ECG data and derive meaningful interpretation to support your screening and diagnostic decision process. 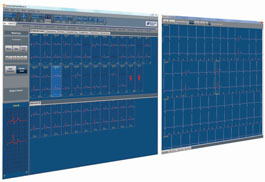 Pathfinder SL’s unique dual screen analysis system with modular analysis packages allow you to opt for the right solution to manage your current analysis needs while allowing you the flexibility to continue adding increasing sophistication based on your timeline. 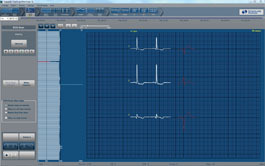 More complex recordings with multiple atrial and ventricular rhythms can be analyzed using a range of more advanced tools. Pathfinder SL’s powerful algorithm is designed to quickly analyze hundreds of thousands of beats in even complex, noisy or unstable recordings. The analysis provides the clinician with comprehensive insight into ECG events and morphologies as well as providing beat counts, beat labeling, ST segment, Heart Rate Variability, and QT analysis. Coupled with Spacelabs’ Sentinel cardiology information management system Pathfinder can provide seamless end to end solutions to capture, analyze, review patient data, and provide reports within your existing healthcare IT infrastructure. Pathfinder SL’s optional dual screen configuration allows independent parallel views of ECG, graphs, trends, or tables increasing the efficiency of use. Pathfinder SL’s guided scanning mode can be easily and quickly adapted to automatically stop and guide the user to beat shape changes or events on a recording by recording basis. The Sleep Apnea analysis option for Pathfinder SL determines periods of apneic sleep and the respiratory waveform from the ECG signal to analyze changes in the RR interval, along with the power spectral frequencies of heart rate variability. Pathfinder SL is not available for sale in all countries. Please contact your local Spacelabs Healthcare representative or regional office for more information.